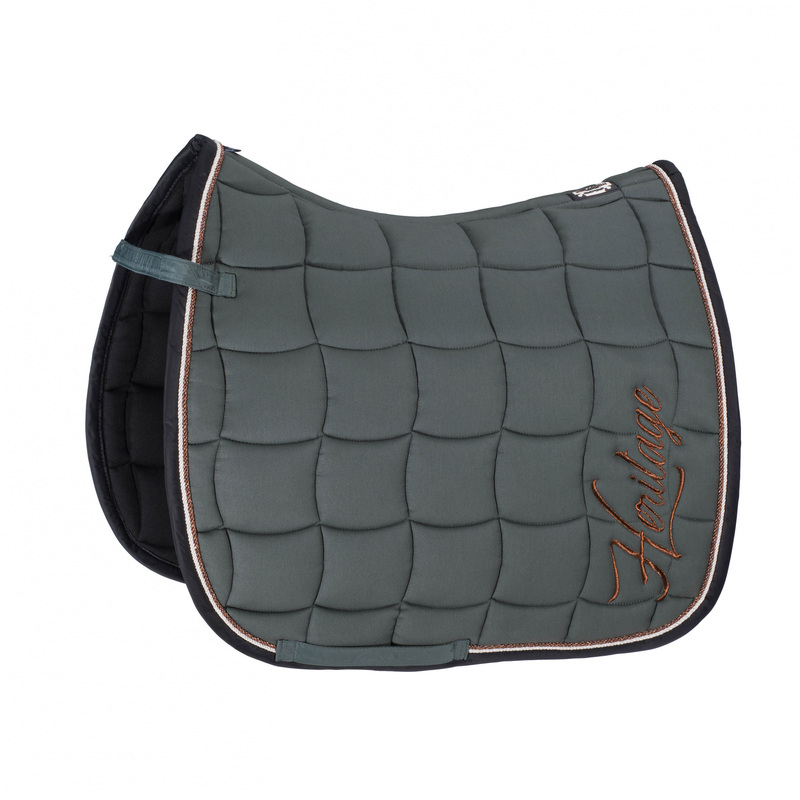 Elegant saddle cloth quilted with big patterns. 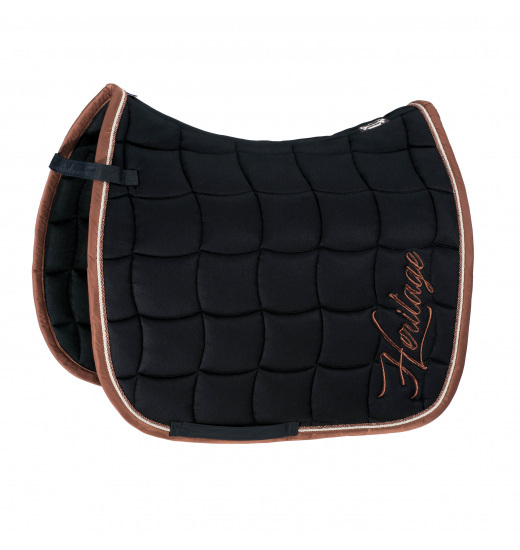 It is made of the highest-quality material that perfectly drains moisture. 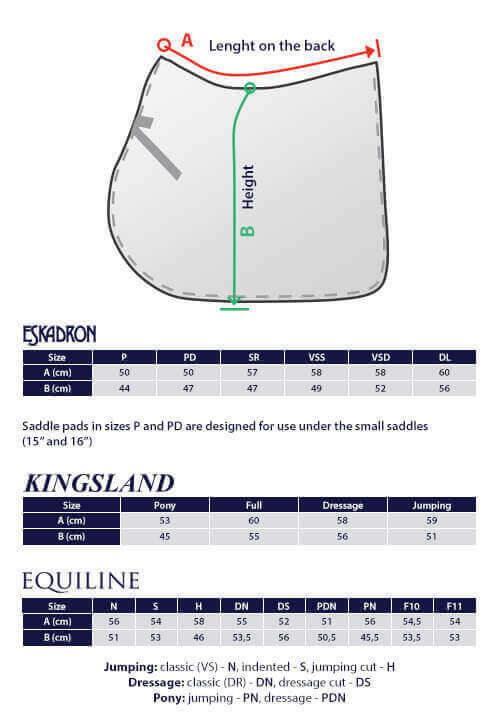 Its soft padding provides the horse with comfort and shock absorption. It will be perfect both for everyday trainings and for competitions. This cloth is decorated with an eye-catching double trimming and an embroidered Heritage inscription.